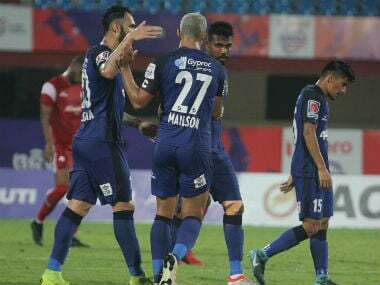 Chennai: Struggling defending champions Chennaiyin FC would look for their first win when they take on FC Goa in a battle between the finalist teams of last edition in the Indian Super League (ISL) football at Chennai on Thursday. 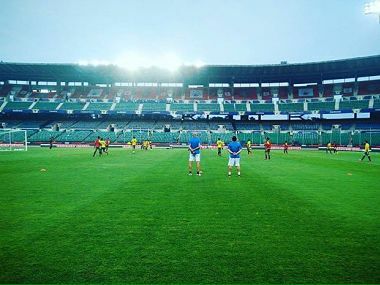 Chennaiyin are currently winless in two matches — after one draw (2-2 against Atletico de Kolkata) and a 1-3 loss against Delhi Dynamos — and chief coach Marco Materazzi is seeking for the first three points of the tournament. 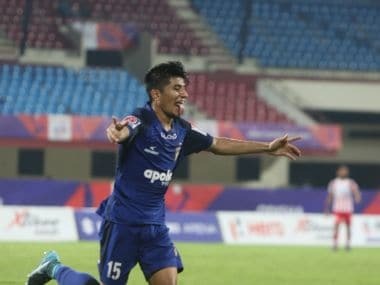 Thursday's match will also be the first time the two teams will meet after that acrimonious summit clash of last year when Chennaiyin scored twice at the fag end to emerge 3-2 winners in dramatic fashion. Chennaiyin marquee player Elano Blumer was later detained by Goa police on charges of allegedly assaulting FC Goa officials but was later released and allowed to return home. Materazzi was not thinking much about last year's acrimonious final but instead said that he may not be at the helm of affairs next year if his side does not do well this season and his players do not show the hunger to win. 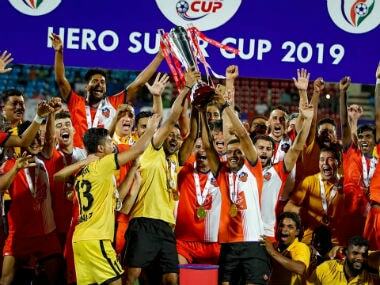 Asked whether last year's final will have any bearing on Thursday's performances, Materazzi said, "If I was leading till the 89th minute (as FC Goa did in last edition final) and lose at the end of the game, I would be upset as well. "They (FC Goa) will show the hunger to win tomorrow but we are coming into this game after a loss against Delhi and will have to put in something extra as well. If we can manage that in the future, we will make it to the play-offs. If not, it will be bad for us. If things don't turn out well, I will not be here as head coach for next year. You have to show your love for the club," said Materazzi. Talking about the 1-3 loss to Delhi in his side's last match, Materazzi said, "If I had the chance to change all 11 players, possibly 12 if you can include me, I would have done that in last game. But the regulations say I can change only three. I have to put in the best eleven tomorrow." FC Goa remains the only team without a point at the end of the second round and chief coach Zico said his team was prepared to turn things around after consecutive losses against NorthEast United FC and FC Pune City. "We are well prepared to look for a good result. We played well in the first two matches although we did not get a result. We are prepared for a nice match," said Zico, adding that he does not look into the past for any added motivation. "In the first two matches, we created so many opportunities. If you look at the stats, the two best players were the goalkeepers. We are playing an attacking game but unfortunately the goals are not coming. That confidence to score is missing," said Zico.